Rain can’t stop Tolson Hell of the South! 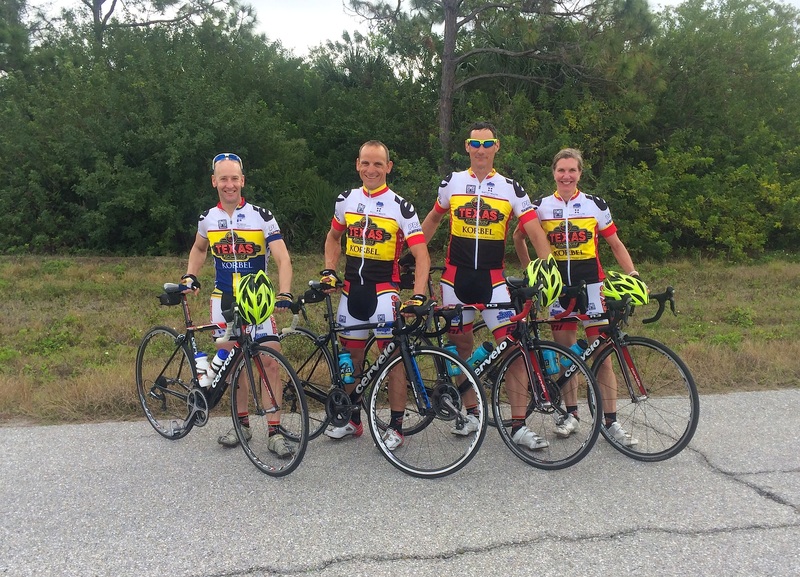 Some of the Texas Roadhouse Cycling crew went to Berlin, TN to race the “Hell of the South” event (Saturday March 29th, 2014). Rain was all around, but that did not deter our crew from putting in big efforts. 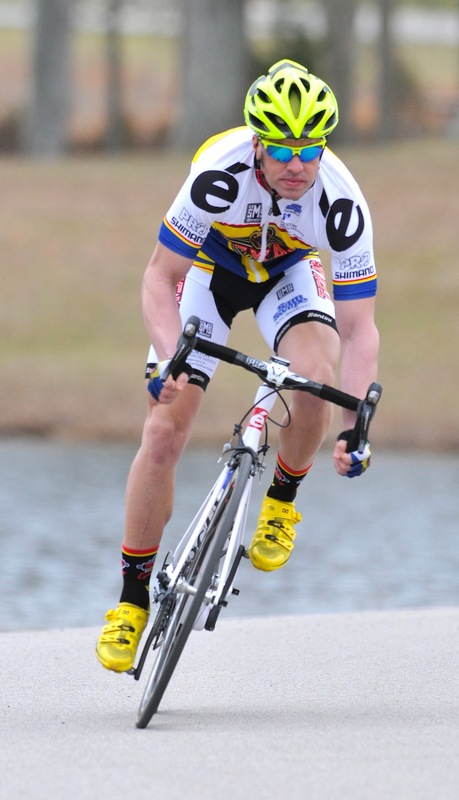 In the Masters 50+ race, Louisville, KY resident, Curtis Tolson took the top Rock! 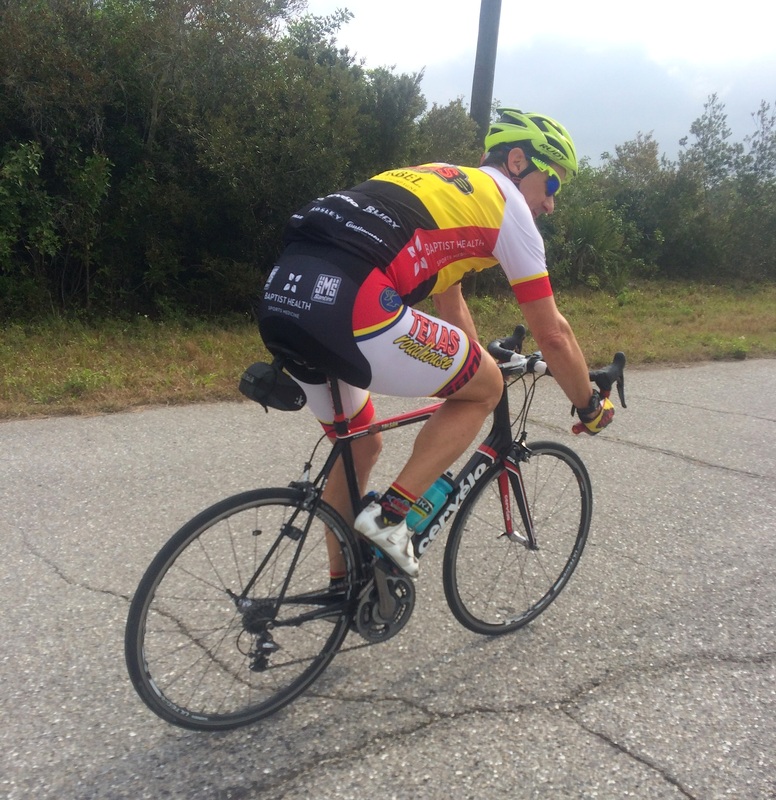 As for the Elite Team… we will give that report later. 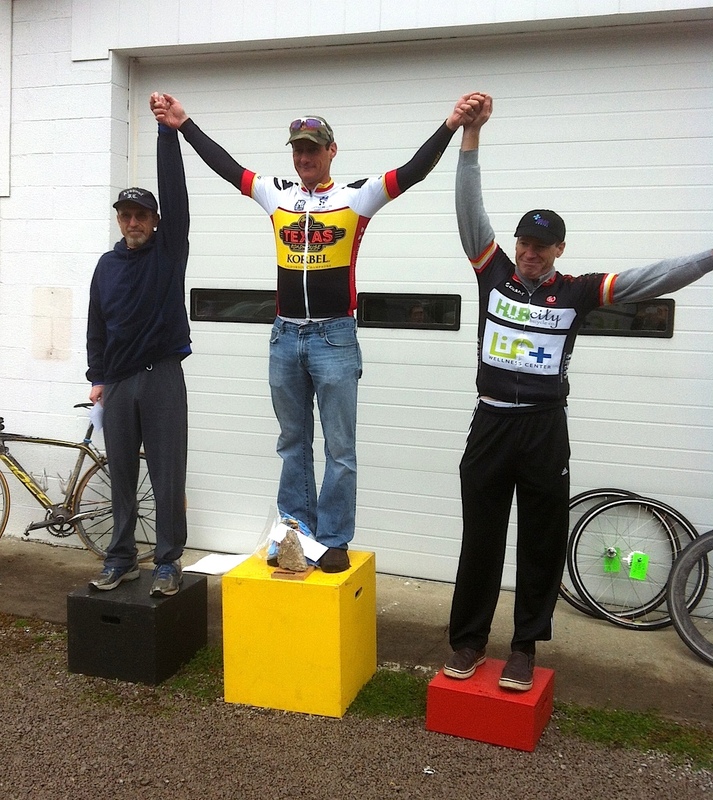 Thanks to the promoter and volunteers for making that fun race happen. 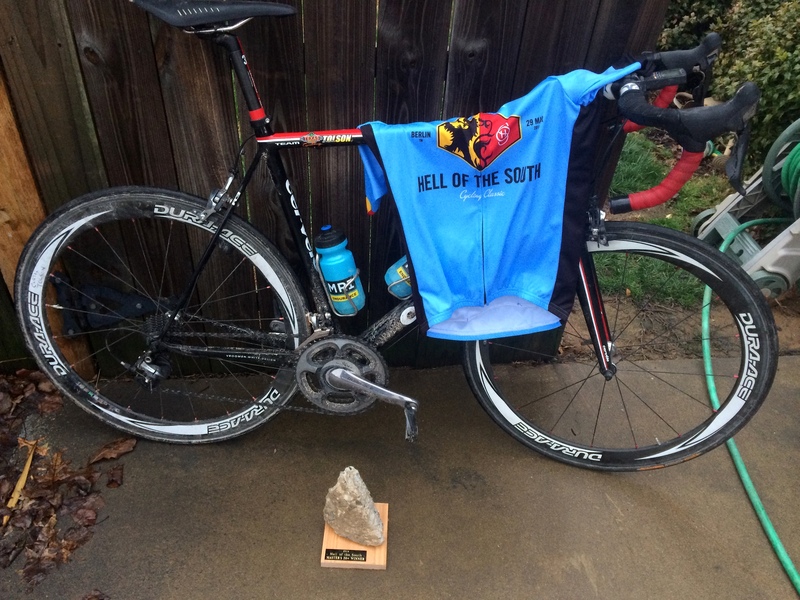 Rain, Harsh pavement, dirt/gravel section and 78 miles in the Pro/1/2 made it… well… Hell! 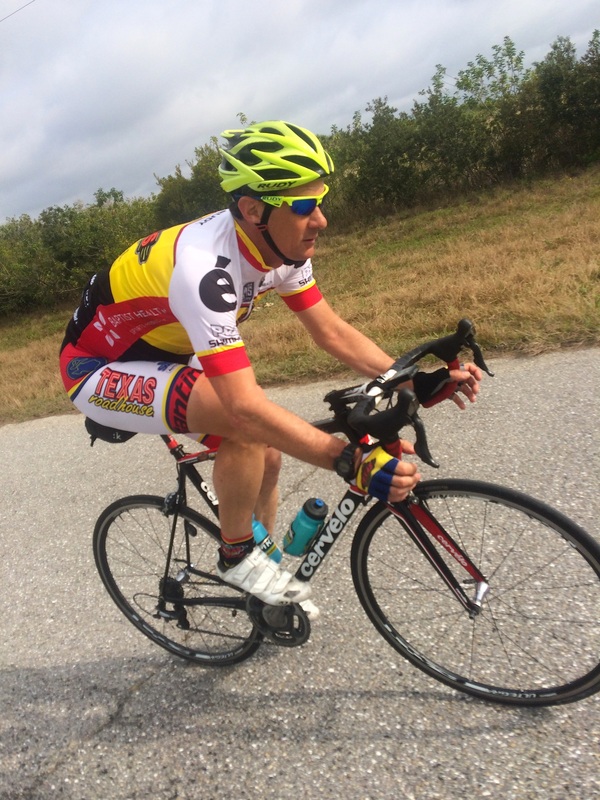 Curtis Tolson training in Florida, winter 2014. Free Enzo’s ButtonHole samples this Saturday in Charlotte! !